The initial results of NeKSAP district food security network (DFSN) meetings held in 74 districts in July 2017. 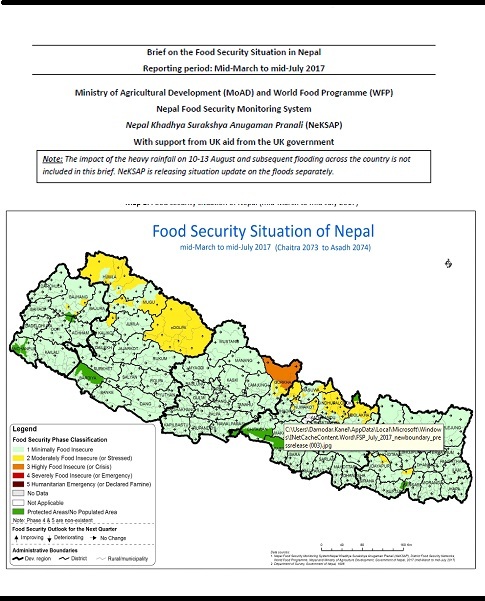 DFSNs analyzed the food security situation during the period of mid-March to mid-July 2017 (the Nepali months of Chaitra 2073 to Ashadh 2074). The full results will be published in the Nepal Food Security Bulletin (Issue 51).